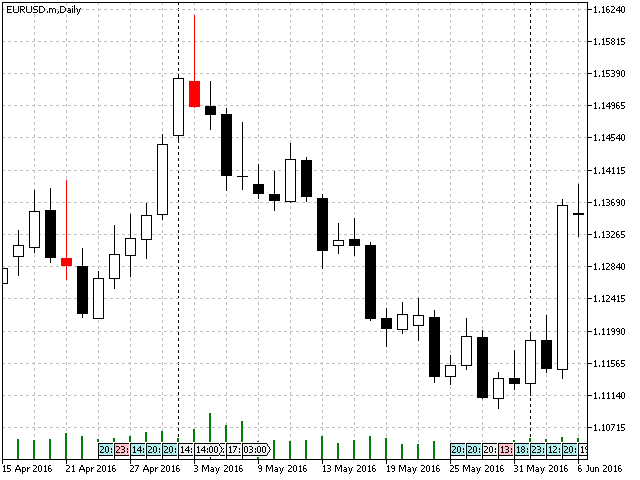 The indicator detects Pin Bars on the specified timeframes and notifies about new patterns found (via MetaTrader alerts, PUSH-notifications, emails). Patterns found on the current chart are highlighted. There are some extra options of pattern detection based on volume and the Pin Bar's position in relation to the previous bars. 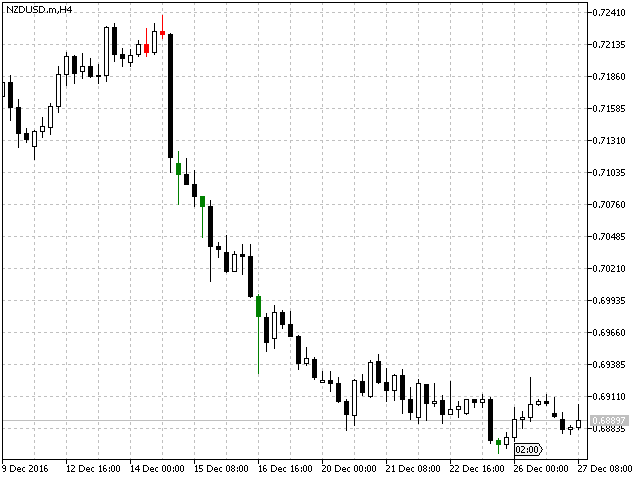 This indicator is useful tool for Price Action trading. 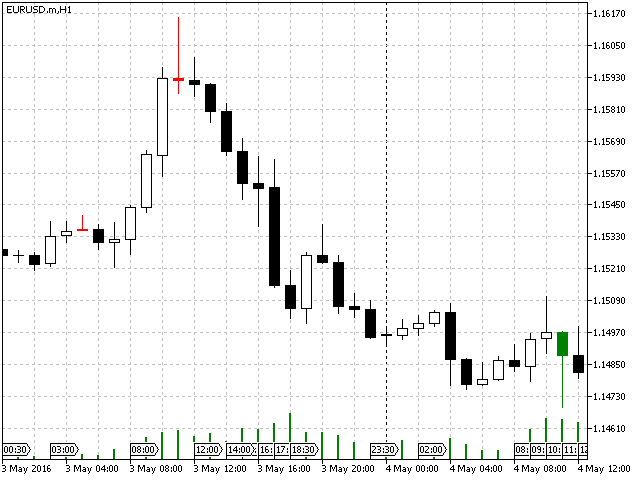 Draw Mode - set the way to draw patterns on the current chart (draw as bars or as candles). Pattern Name - define pattern name in notifications. Enable Alerts - turn on/off sound alerts of the indicator. Enable Email Notifications - turn on/off notifications by email given in the settings of MetaTrader. Enable Push Notifications - turn on/off notifications being sent to the mobile client with ID specified in MetaTrader settings. 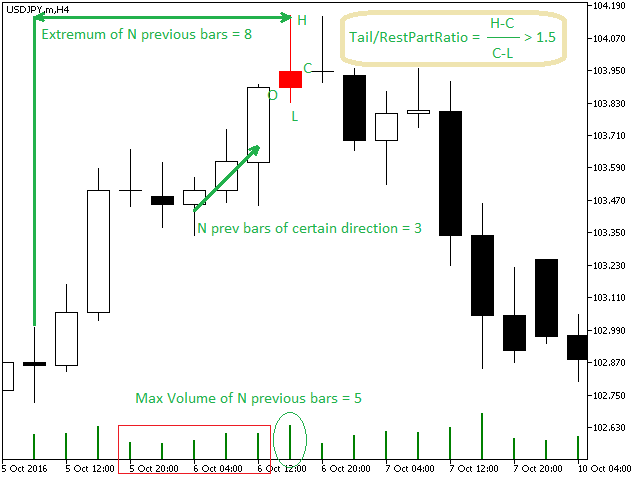 Tail/RestPart Ratio - required proportion of the range between the end of the "tail" and the close price, and the distance between the opposite end to the close price. N prev bars of certain direction - set the length of the sequence of candles with growing bodies preceding a bearish pin bar and vice versa. Extremum of N previous bars - pin bar's "tail" must stand out from the specified number of previous bars. Max Volume of N previous bars - set the required number of previous bars with lower volume comparing to the Pin bar. According to Price Action the trading signal of the Pin Bar pattern is the breakout of its border opposite to the tail. 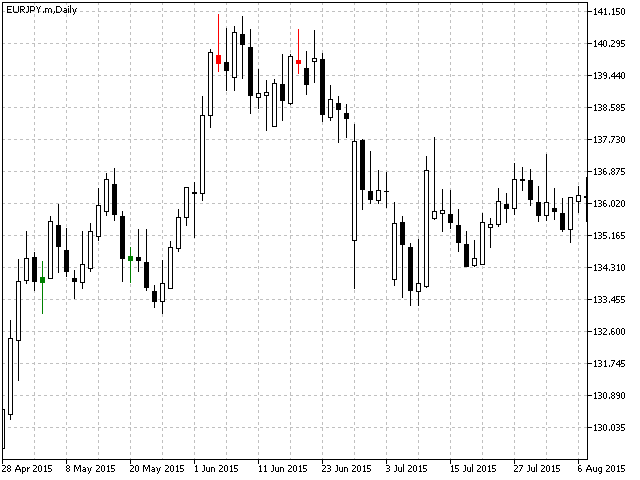 Stop Loss should be placed beyond the end of the "tail" of the pin bar. To improve the accuracy of trading signals, it is strongly recommended to trade only according to the trend direction. This approach reduces the number of signals but increases their reliability. If you work with timeframes lower than D1, place the Stop Loss orders beyond the nearest extremum or the border of a trading range to avoid its premature triggering. Pin bars are divided into "bullish" and "bearish". The criteria of their recognition are illustrated in the last screenshot. (Close - Low) /(High - Close) > Tail/RestPart Ratio (is an input parameter), i.e. "the lower tail" is Tail/RestPart Ratio times greater than the rest part. Open > (High - Low)/2, i.e. the open price is higher than the middle of the bar's range. (High - Close) /(Close - Low) > Tail/RestPart Ratio (is an input parameter), i.e. "the upper tail" is Tail/RestPart Ratio times greater than the rest part. Open < (High - Low)/2, i.e. the open price is lower than the middle of the bar's range. Андрей, на МТ5 пин-бар появляется после обновления графика, в чем может быть дело? И уведомления не проходят. Очень полезный и прибыльный индикатор!